The wrestling world is currently witnessing stars change homes quite often. Independent promotions and the self-marketing of wrestlers have combined for new alternatives to the WWE. The highest paid stars will always be in WWE due to the significantly large lead it has over every other wrestling promotion combined. However, wrestlers that hustle hard enough can make more money than the average WWE Superstar. The Young Bucks, Colt Cabana and numerous others have proven the power of betting on yourself rather than relying on the machine. Many WWE stars have either been fired, witnessed their contracts run out with no extension or flat out chose to leave on their own. Some find success in new homes and others struggle to even remain in the industry. Promotions with contracts like TNA, Ring of Honor and Lucha Underground all witness similar turnover with wrestlers coming in and out. Talent get released everywhere and have the chance to branch out following the bad news. We’ll take a look at some interesting names to either get fired or see their contract expire without any extension from their employer in recent years. 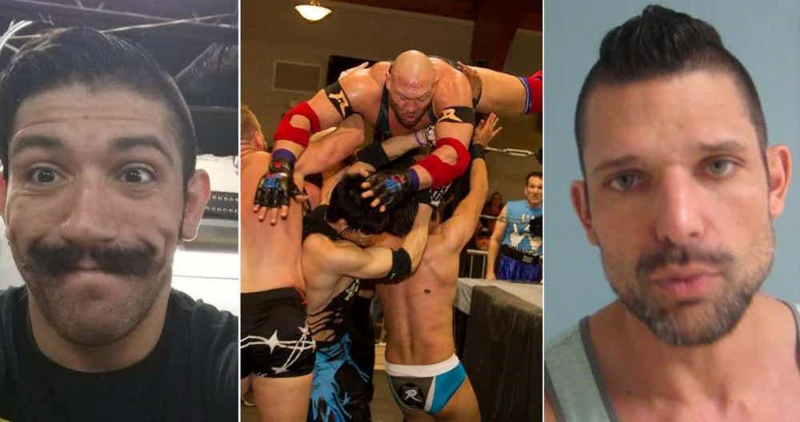 Find out which stars thrived and which flopped as we provide updates for twenty recently released wrestling stars. The most recent release in WWE came when the company announced Simon Gotch’s contract was being terminated. Gotch was one half of The Vaudevillains with tag team partner Aiden English. WWE did not like the attitude of Gotch and let him go to end the failed team. Rumors originally suggested that Gotch requested his release, but he has confirmed it was WWE’s call. Gotch revealed he plans to continue wrestling on the independent circuit and believes he has a lot to offer to the wrestling business. The comments of Gotch following his release indicated he was very unhappy in WWE due to his artistic creativity being stifled. Well, the independent scene is the perfect place to show just how good your ideas are and Gotch will have that opportunity. TNA showcased Mia Yim under the name of Jade as the new breakout star of the Knockouts Division in recent years. The talent of Yim got her over as one of the best women’s wrestlers in the world. TNA used her well with memorable matches against Gail Kim, Rosemary and Sienna. The recent change in management to start 2017 saw her time there end. Jeff Jarrett being named the new person in charge led to many established stars with contracts expiring seeing their time end in TNA. The rumors suggest the wrestlers were given low-ball offers and turned it down to hit the free agent market. Yim is continuing her career on the independent scene most weekends and is a rumored name for the WWE women’s tournament coming later in the year. The shocking news of Cody Rhodes requesting his release from WWE in 2016 saw him hit the independent circuit. Rhodes was celebrated for betting on his talent instead of taking the easy money while remaining unhappy as Stardust. Cody found instant success wrestling for all the top promotions outside of WWE. Within a few months, Rhodes worked for Ring of Honor, TNA, PWG, Evolve and New Japan. The success of Rhodes is overwhelming and he has stated he’s looking to settle down by signing a contract. Cody is one of the top members of the Bullet Club in both New Japan and Ring of Honor making that his likely home. WWE could always come back into play but the safe bet is Rhodes being a member of NJPW and ROH for the next year or two. Brandi Rhodes left WWE along with her husband Cody within the same week. WWE never viewed her as anything more than a ring announcer but she had aspirations for more. Brandi has started wrestling regularly since her requested release. The main home of Mrs. Rhodes is TNA as a member of the Knockouts Division frequently involved in storylines. It isn’t the exclusive home for Brandi with her career also taking her to the independent circuit. Brandi sometimes appears with Cody but mostly wrestlers in smaller promotions to progress and improve. The genre of inter-gender matches has seen Brandi added to the mix with matches against Joey Ryan among others. Both members of the Rhodes household appear to be enjoying life after being released by WWE. Matt and Jeff Hardy were content to continue working for TNA after adding relevance to the promotion with their “Broken” characters. Various interviews revealed that Matt actually expected to stay in TNA until the management change. Jeff Jarrett and the other traditional minds were not happy with the unique characters straying away from the old school fundamentals of wrestling. The Hardys were unofficially let go when it was made clear TNA would not negotiate a fair deal with them. It ended up being the best thing for both men and multiple promotions. Matt and Jeff ended up in Ring of Honor a few months with a short but memorable ROH Tag Team Championship reign. They then returned to WWE at WrestleMania 32 to become the Raw Tag Team Champions. The Hardys are officially members of the WWE roster and among the hottest aspects in wrestling again.